-So I bascially need to recognize smaller parts and keep them in the right place of the "bigger picture"
I uploaded an example picture (not the real building). The "Flag" will probably get recognized, the rooms most likely not since they kinda look alike, so I would need the flag for instance as an anchor point. The green spray can thingy shows the part of the building which should be recognized and mildly highlighty with a green color or whatever, I dont know yet. Just to make it clear to the user, that THIS building part is actually recognized. I saw a similar youtube video, but without explanation and he didnt really move the camera around. My experience with vuforia so far, was about smaller objects, which I held in my hand, so I dont really know how I should start a project like that. Can you push me in the right direction, or give me a good idea on how to start? Based on the screenshot you shared, you might be able to use Model Targets to detect the building from that view. You would need the 3D model of the building in order to do that however and I'm not sure how feasible that is for you. This feature would allow you to easily be able to augment the various sections you mention in your post as you would have the 3D model available to modify in Unity and display over the actual building once the Model Target has been detected. Outside of Model Targets, from that distance away and the types of augmentations you are looking for, it might be difficult to do this with another feature. 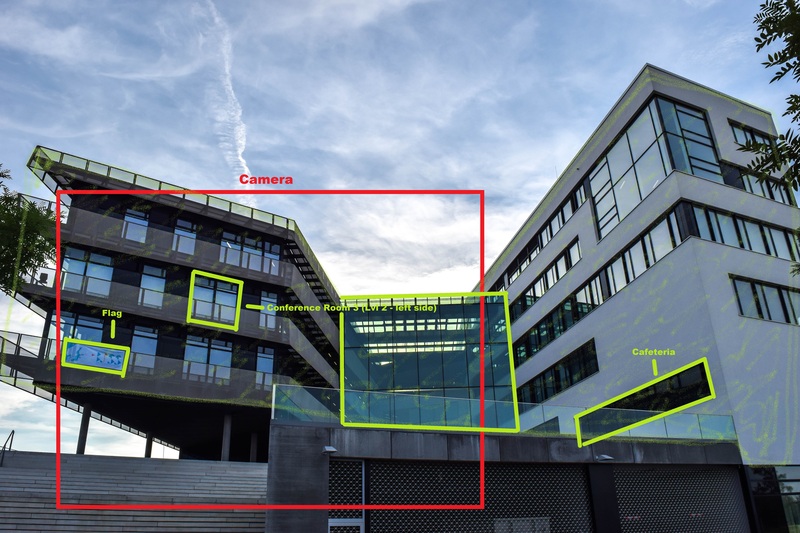 It might be possible to create an Image Target out of one of the segments of the building and attempt to augment the various sections and/or the full building around the Image Target, but aligning the augmentations using this method would be very difficult and likely inaccurate without perfect conditions.